Foundation forms the base of any look, and with the right foundation blended into your face you can conquer the world! Yes ladies, you all know what I’m talking about. In the morning when you put your face on,your foundation is your go- to product and once you’ve perfectly blended it in and added some eyeliner, mascara and a bold lippie, you are a queen ready to slay the day and whatever may be headed your way. It is crucial to purchase a foundation that caters to your needs, blends effortlessly and doesn’t allow any holes to occur in your pocket. As a student and a makeup junkie, my face always has to be on point, so it is crucial for me to get a good buy for my money. Foundation just covers up whatever you would like to hide, while giving you a fresh looking face. Yes, you need sleep in order to have nice looking skin but foundation just helps to enhance your skin and just gives you a face that doesn’t look weary or tired. Foundation is one of the basic essentials that every girl needs in her make- up bag, whether you are a makeupholic or not. My skin is not that bad but I do love a good foundation just to ensure that my face is dewy and at times flawless. When I started wearing foundation, I would just use the same one without realizing what the actual differences between different foundations and brands were. As I started learning more about foundation I realized what my needs were and knew what I was looking for as I went shopping. I was able to obtain foundation that suited my needs and at the same time fitted my wallet. I’ve decoded the best foundation/s on a budget that will your face an effortless look, without looking less then a high- end product. Maybelline FIT me Matte + Poreless Foundation contains SPF so you won’t get sunburnt during the day. Its super matte and long lasting. It blurs out your pores, so you won’t have to worry about your pores showing! It also gives your face a super dewy finish, and leaves your face looking extremely fresh and who doesn’t love a fresh, dewy face for a night out, after working tirelessly for hours. With this lovely product you won’t be needing to put your makeup on all over again if you heading out for the night. The cheapest foundation from the lot but don’t undermine this little guy. Its super cheap and the results are amazing. This product is super creamy, blends seamlessly and gives your face a flawless finish lasting throughout the day. It also gives your face a super fresh look. If you haven’t found the right concealer, do try the L.A. Girl Concealer, its just as amazing as the foundation! I promise. All the products from the Revlon Photoready collection are amazing. This foundation does give your foundation an airbrush effect. I love this foundation because it has a bit of a sparkle in it, so it cannot be used for a very natural look. However its long lasting, gives your skin an really nice finish and blends really well. It also makes you look amazing in photos, which is an added bonus! This is a dupe for the Kat Von D Lock-it Tatoo Foundation, so you know its more than amazing! This foundation is extremely light, it feels like you have no foundation on! It blends flawlessly, looks super natural and leaves your face matte for the entire day. Need I say more? This L’Oreal Infallible foundation is everything! Like literally everything you need in a foundation. It has an extremely light texture and blends seamlessly. And like the name says it lasts for 24 hours! Yes, for real! Just ensure you blend it really well and once you have completed your makeup, you apply a setting powder so it does last for hours. It also hides blemishes and is waterproof, and did I mention it looks amazing on your face! *Products can be purchased at a local Dis- Chem or Clicks near you. Prices are subjected to change. This entry was posted in beauty, makeup, Uncategorized and tagged foundation, foundation on a budget, l'oreal, LA Pro Girl Foundation, makeup, maybelline, maybelline fit me, Revlon, rimmel on November 21, 2016 by juwairiyabakharia. I’ve been asked many a times by friends and acquaintances as to what they should put in their makeup bag as they would like to start wearing makeup but are not sure what they should get and what their starter kit should be like, and at times I’ve been dragged to the store to help with these first time purchases. So yours truly decided it was about time to take matters into her own hands and do a post on this. You have decided that you’d like to enhance you features a bit, and you think that makeup could help with that but you don’t have the slightest clue where to begin because everything looks right. Now that you’ve decided to look into makeup, you don’t want to spend that much of time and money since you not sure how committed you will be to this relationship. Although you’ve heard so much about how good and satisfying this relationship can be, out of curiosity you’d also like to try out this wonderful relationship and see the direction its heading to. If that sounds like you, do continue reading. After much consideration I’ve come up with the beginners makeup kit, which will help you start up your own little makeup kit and well, if it works out (which I’m sure will) then we can build up on these products. These products are very basic but crucial to your kit, I’ve selected only the best without allowing a hole to appear in your wallet. Garnier BB Cream: R109,95 ; Revlon Photoready Foundation: R289, 95. Foundation or BB Cream has to be the first item you put into your basket when starting off your makeup kit. I love the BB Cream as it evens out your skin tone, moisturizes and just gives you a hint of coverage especially if you not really ready to take the plunge into foundation. For foundation, the Revlon Photo Ready foundation is amazing, it provides you with a full, flawless coverage for the entire day and at the same time gives you a nice fresh look. My other picks: Essence Bb cream, Rimmel Stay Matte Liquid Mousse Foundation, L’Oreal Infallible 24H Foundation, Maybelline Fit Me! Mascara is essential to your eyes, it enhances your eyelashes and just helps to accentuate your face. 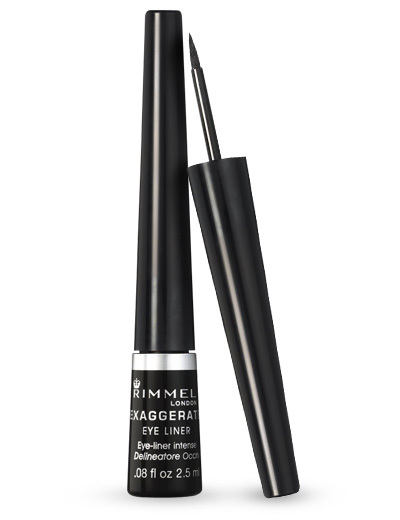 if you’ve read one of my previous posts, you’ll be aware of my love for mascara and how much I love the Rimmel Lash Accelerator as it will provide the shortest of eyelashes with length and at the same time helps your eyelashes appear fuller. If you’d like to make your eyelashes appear curlier and longer then consider investing in an eyelash curler once you’ve figured out the usage of mascara. If you putting on foundation you have to use concealer to even out the imperfections, as foundation gives you coverage but not the same coverage that a concealer would. Apply concealer under you eyes to decrease the puffiness, and wherever you would like to conceal. I love the Revlon Color Stay concealer as it is an inexpensive concealer that is able to cover up everything that needs to be covered including blemishes and discolorations. My other pick: Maybelline Dream Lumi Touch; L’Oreal True Match Super Blendable Concealer Crayon. 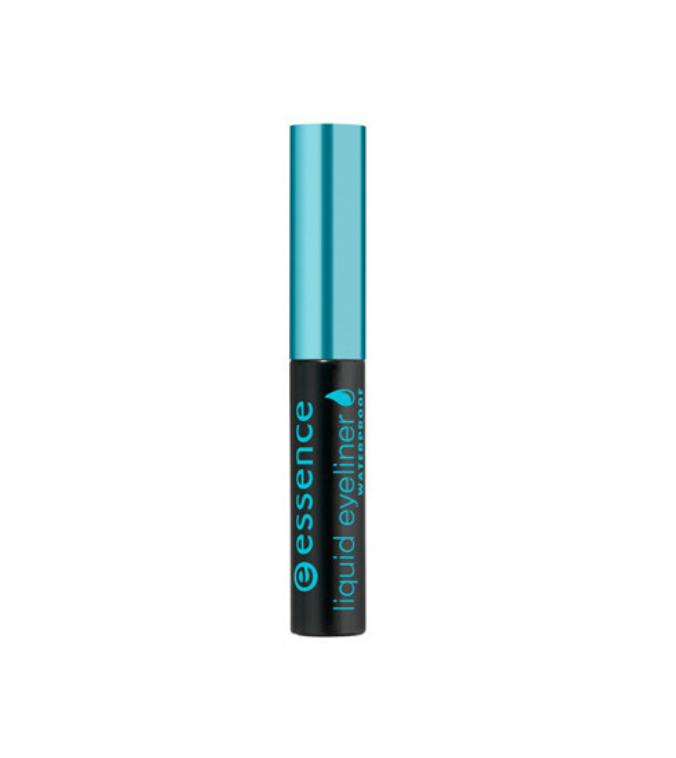 This eyeliner is amazing, it lasts really long, its a bold black and it doesn’t smudge. This product is included into your kit since it allows your eyes to appear bigger and brighter and it defines your eyes, this could be applied on your eyes waterline and on the upper part of your eyes. Every girl knows how essential this product is to your kit, whether you a makeup junkie or a tomboy; a lippie is the essence of your makeup bag. The NYX butter gloss is reasonably priced, they have an amazing range of colors so if you don’t want drama on your lips opt for a neutral shade and on the days you would like to be bold, there’s extremely striking colors. The butter gloss doesn’t dry after a few hours and it also moisturizes your lips at the same time. To complete your look, translucent powder is a must. No it will not make you look like you have another face or you head is heavier. It will finish up your look and set it to last for hours. I love love this Max Factor Powder it just gives me a wow factor once I’m done, it sets my makeup and allows me too look the same for hours. This lightweight setting powder creates a natural-looking, matte finish. Ensure when choosing a setting powder that its not too light as this makes you look like a ghost. If you unsure about your color opt for the colorless setting powder. I’m sure you’ve walked pass these in the shops but are unsure what its used for. Well, let me help you with that; these triangular makeup sponges will help you blend all the products you applied on your face. It’s cheap and you get quite a few in a pack, this will help put your look together. Blush can be added to your kit if you would like to add some color to your cheeks and transform your look. My picks are: Maybelline Face Studio Master Hi-Light Blush in Pink Rose; Rimmel London Stay Blushed Liquid Cheek Tint; Revlon Powder Blush in Haute Pink. P.S. Products can be purchases at a local Dis-Chem or Clicks; prices are subjected to change. If you enjoyed this post, please click the like button. This entry was posted in beauty, makeup, Uncategorized and tagged beauty, essence, l'oreal, makeup, Maxfactor, maybelline, nyx, Revlon, rimmel on September 7, 2016 by juwairiyabakharia. Winged eyes have been trending for decades and will not be going away anytime soon. I like any other girls have loved this trend since I first set my eyes on it, I would look at celebrities and people and wonder how would I look with it and how would I be able to do it so perfectly and precious. So yes, I first stared at people for months before I actually had the guts to try. Well at first it was a mess, there’s no one that could say that the first time they tried a winged eye they got it. At times one eye would be perfect and the other eye looked like a nightmare, but with a lot of practice and thousands of earbuds I was able to perfect this trend. So don’t sweat if you don’t get it right the first time. *Use tape. Yes I know it sounds dumb, but it will help. Put tape, not sellotape,from the middle to the side of your eye, then take your liner and follow the tape. Once its dry slowly take off the tape. *Use your normal eyeliner. Take your normal black eyeliner and a lighter, and light the tip of your liner. Don’t light it too much. it must just be a bit melty, leave it to cool for a few seconds and apply as liquid eyeliner. If you do make a small mistake, don’t take off the whole liner, take an earbud and make it abit wet, and just erase the small mistake and then do that part over. Getting the perfect winged eye takes a lot of mistakes, practice and the perfect liner. I personally love Essence Liquid Eyeliner (R57,95) and Rimmel Exaggerating Eyeliner (R99,95), both available at Clicks. I hope these tips help and within time you will also be able to perfect this not-so-hard trend :). This entry was posted in beauty, makeup, Uncategorized, winged eyeliner and tagged essence, liquid liner, makeup, rimmel, winged eye on December 20, 2014 by juwairiyabakharia.